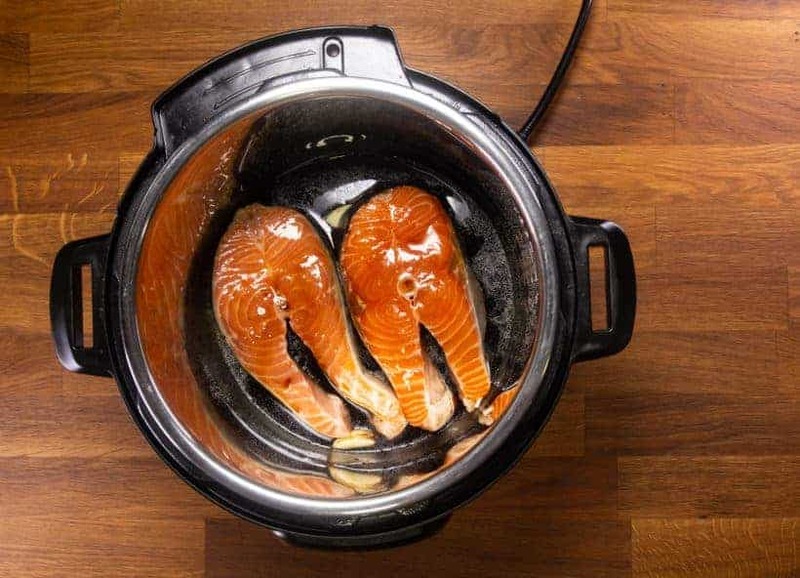 Learn how to make perfectly cooked Juicy Moist Instant Pot Salmon. 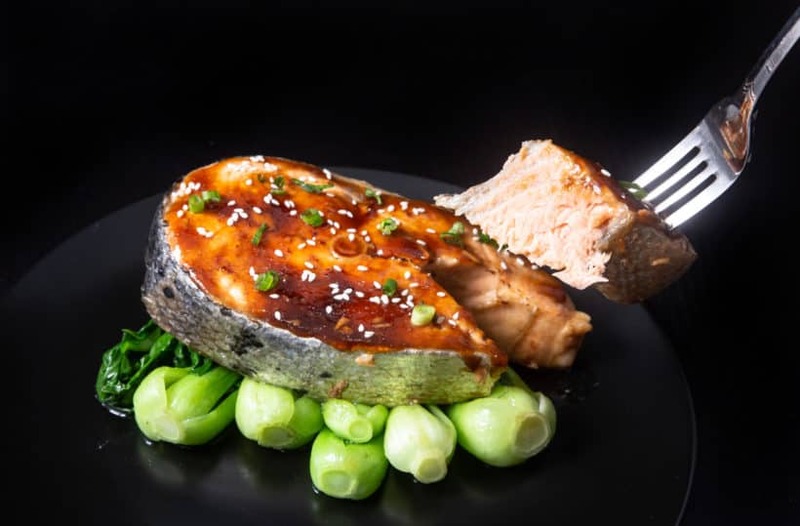 Tender, flaky, succulent pressure cooker salmon with deliciously caramelized sweet-savory teriyaki sauce. 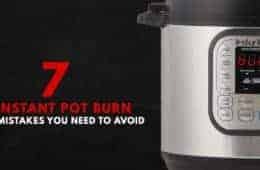 Say no to dry rubbery Instant Pot Fish! Living right by the Pacific Ocean, we’re blessed with an abundant supply of fresh salmon. I’ll never forget the time my parents brought me and my brother to see the epic Salmon run. We stood by the river watching the masses of salmon swim earnestly against the flow, using every ounce of energy with every muscle they’ve got. And my heart sinks a little every time the rush of water pushes them back. As we got to the ladder, I couldn’t believe my eyes when I saw the salmons jump! It was as if they were attempting to fly. Definitely, a sight to be remembered. I couldn’t help but start cheering for them every step they attempt to jump. They don’t often make it on their first try, but they fight till the end. I was awestruck by their amazing ability to return to where they were born. Moreso, how they brave through the flow, the Eagles & bears, the deadly jumps with their perseverance, determination, and sacrifice in their journey to fulfill their destiny. Time to cook some Instant Pot Salmon! 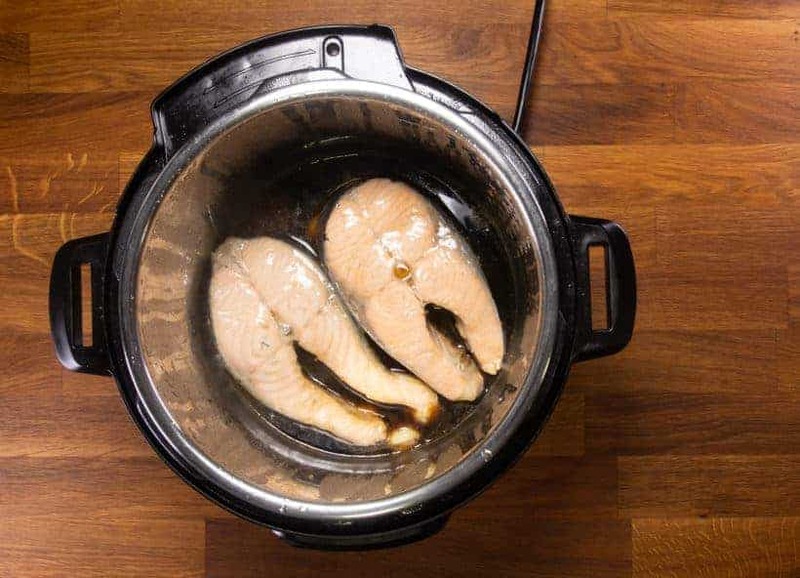 Pressure Cook Salmon: Add 4 crushed garlic cloves and 1 - 2 slice (5g) ginger in Instant Pot. Layer 2 salmon steaks on the garlic cloves. 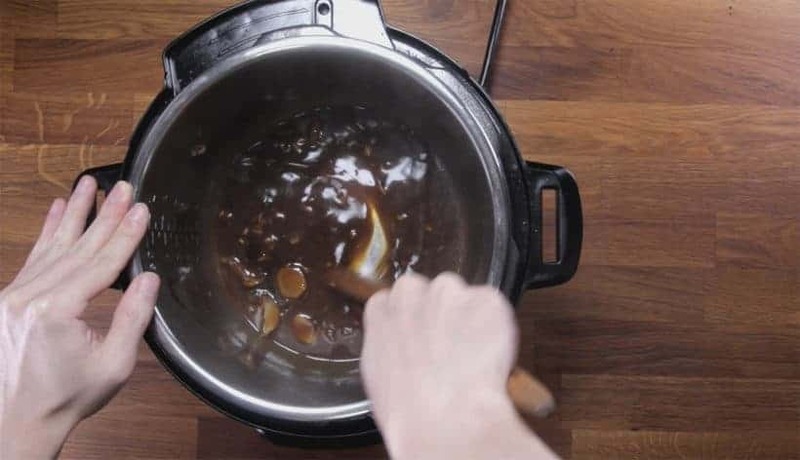 To make teriyaki sauce, mix ¼ cup (60ml) Japanese soy sauce or regular soy sauce, ¼ cup (60ml) mirin, ¼ cup (60ml) Japanese cooking sake, ¼ tsp (1.25ml) sesame oil, and 2 tbsp (28g) white sugar together. Pour Teriyaki sauce on the salmon. Pressure Cook at High Pressure for 0 minute (zero minute) and Natural Release for 10 minutes. *Note: 0 (zero) minute is not a typo! Check internal temperature at its’ thickest part with an accurate food thermometer. *Pro Tips: The USFDA recommends cooking salmon to an internal temperature of 145°F (63°C), but anything over 125°F (52°C) is fine for farmed Atlantic Salmon. If the salmon is below 125°F (52°C), place the lid back on and let the residual heat cook the salmon. Thicken Teriyaki Sauce: Carefully place cooked salmon on a serving plate. *Note: The salmon's internal temperature will continue to rise. Bring the teriyaki sauce back to a simmer by pressing the "Cancel" button, then "Saute" button. Mix 2.5 tbsp (22.5g) cornstarch with 3 tbsp (45ml) cold water in a small mixing bowl. Add the cornstarch mixture one third at a time to thicken the teriyaki sauce until desired thickness. *Pro Tip: You don't have to use all the cornstarch thickener. Use accordingly to your taste. 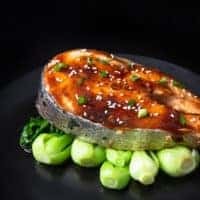 Serve Instant Pot Salmon with Teriyaki Sauce: Drizzle teriyaki sauce on the Salmon steaks. *Optional: use a blowtorch to slightly caramelize the teriyaki sauce on the salmon. Salmon is a nutrient-dense fish, an excellent source of high-quality protein, vitamins, minerals, and omega-3 fatty acids. 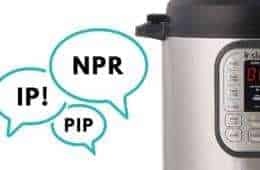 Add 4 crushed garlic cloves and 1 – 2 slice (5g) of ginger in the Instant Pot Pressure Cooker. Layer 2 salmon steaks on the garlic cloves. 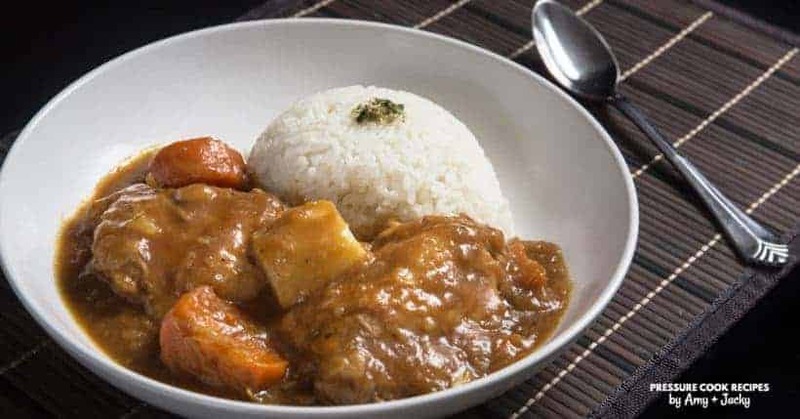 To make teriyaki sauce, mix ¼ cup (60ml) Japanese soy sauce or light soy sauce, ¼ cup (60ml) mirin, ¼ cup (60ml) Japanese cooking sake, ¼ tsp (1.25ml) sesame oil, and 2 tbsp (28g) white sugar together. Pour homemade Teriyaki sauce on the salmon. 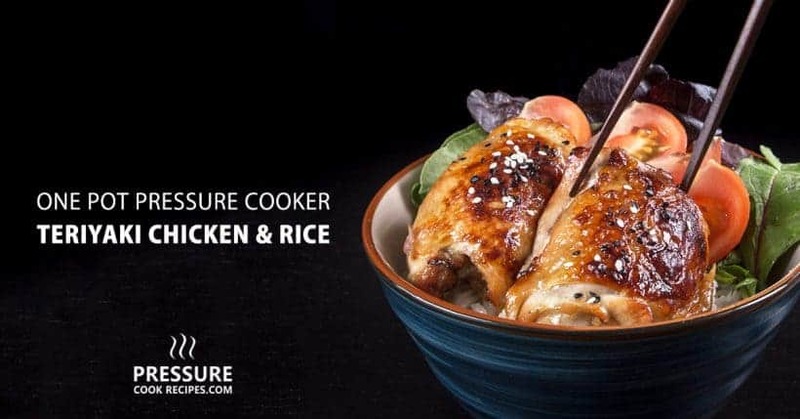 Pressure Cooking Method: Pressure Cook at High Pressure for 0 minute (zero minute) and Natural Release for 10 minutes. *Note: 0 minute (zero minute) is not a typo! We’re using the heat from the “Pressurize” Stage + “Depressurize” Stage to cook the salmon in Instant Pot. 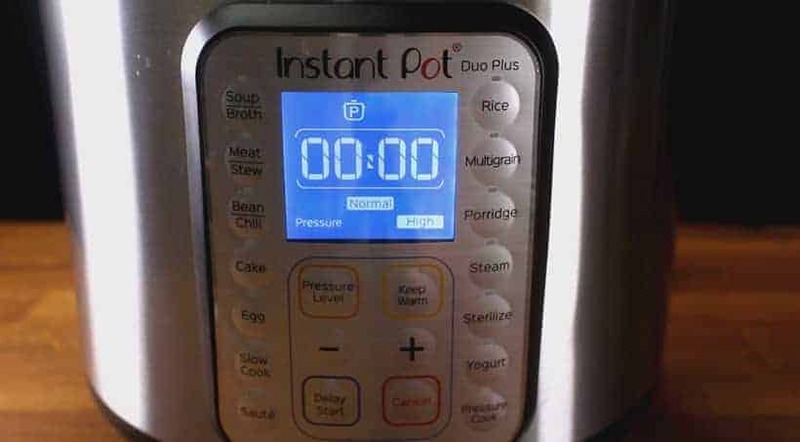 After 10 minutes, release the remaining pressure by turning the Venting Knob to the Venting position. *Pro Tip: The United States Food and Drug Administration recommends cooking salmon to an internal temperature of 145°F (63°C), but I personally think anything over 125°F (52°C) is fine for farmed Atlantic Salmon. *Note: If for some reason, the salmon is below 125°F (52°C), place the lid back on and let the residue heat cook the salmon. Carefully place cooked Salmon steaks on a serving plate. *Note: The salmon’s internal temperature will continue to rise. Bring the teriyaki sauce back to a simmer by pressing the “Cancel” button, then “Saute” button. Add the cornstarch mixture one third at a time to thicken the teriyaki sauce until desired thickness. *Pro Tip: You don’t have to use all of the cornstarch thickener. Use according to your taste. 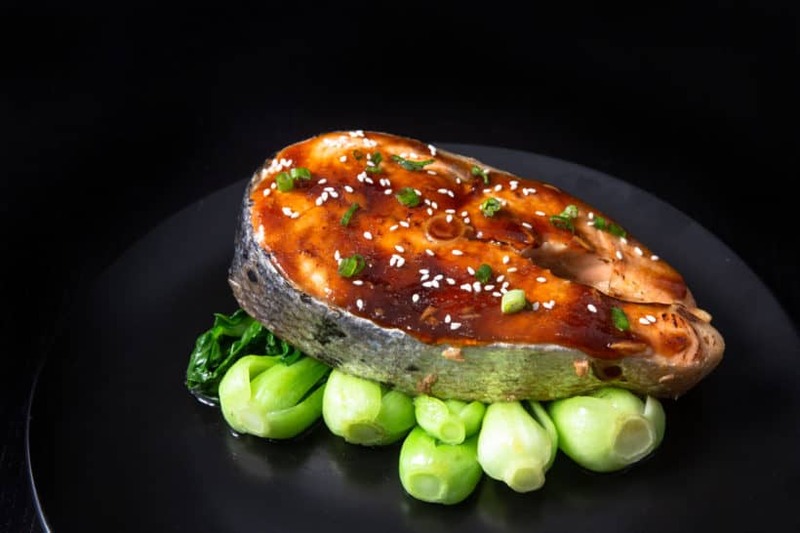 Drizzle or brush teriyaki sauce on the Salmon steaks. *Pro Tip: we used a blow torch to slightly caramelize the teriyaki sauce on the salmon. Garnish with sesame seed and finely sliced green onion. Your delicious & beautiful Teriyaki Salmons are ready to serve! 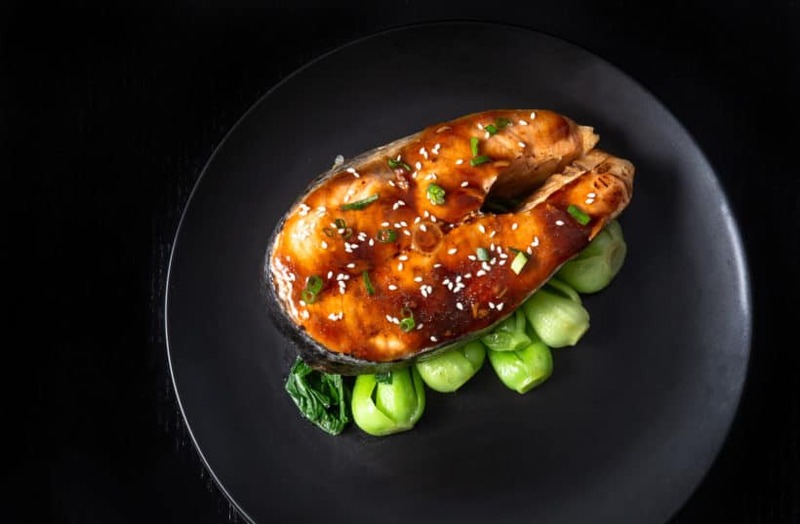 Check out the perfectly cooked Tender, Juicy Moist Instant Pot Teriyaki Salmon. 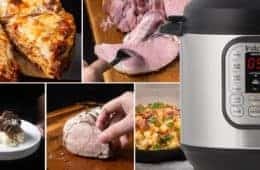 Hi my favorite IP testers, I’m wondering if you have a recipe for Corn Beef and Cabbage as St. Patty’s Day is approaching and I would like to cook it in my 8qt. Ninja Foodi. I don’t have confidence in other IP recipes. Thank you again for making me a success in the kitchen. I bought everything to make this today and can’t find a cooking sake. I even went to an Asian supermarket. 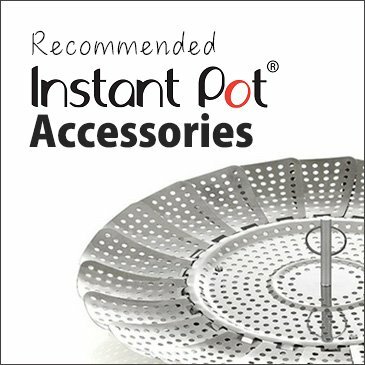 Any substitute recommendations? 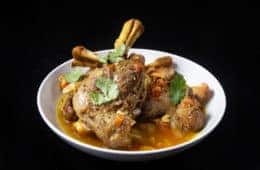 The closest substitution will be dry sherry or Chinese rice wine. If I only have one salmon steak that is frozen, how would the cook time vary? Thank you for your question. I recommend increasing the cooking time by roughly 2 minutes. We made this last night. 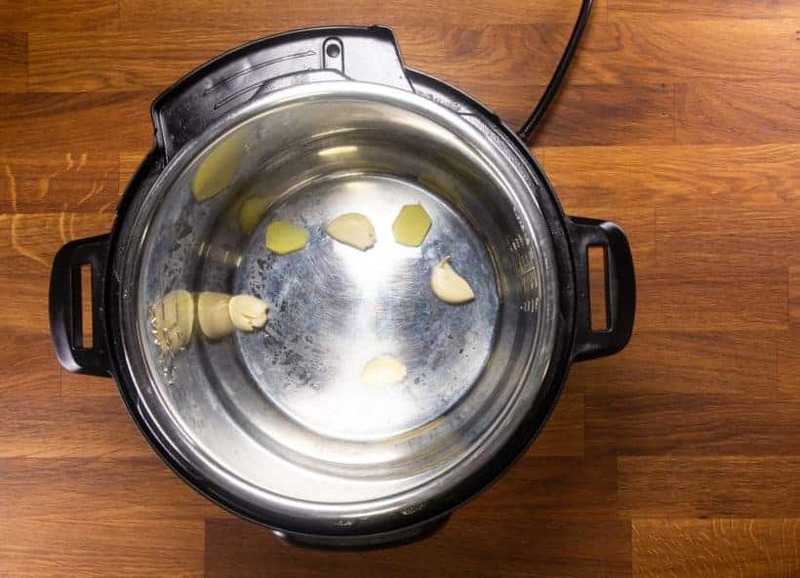 I had reservations about cooking fish in the pressure cooker, but sooo glad we tried it! Quick and easy and moist! My husband said it is better than at our favorite restaurant! Happy to hear your husband enjoyed it as well. O M G it is so DELICIOUS! I usually avoid cooking salmon and eat it only at restaurants, yet this recipe is absolutely amazingly divine. Thank you so much for sharing!. 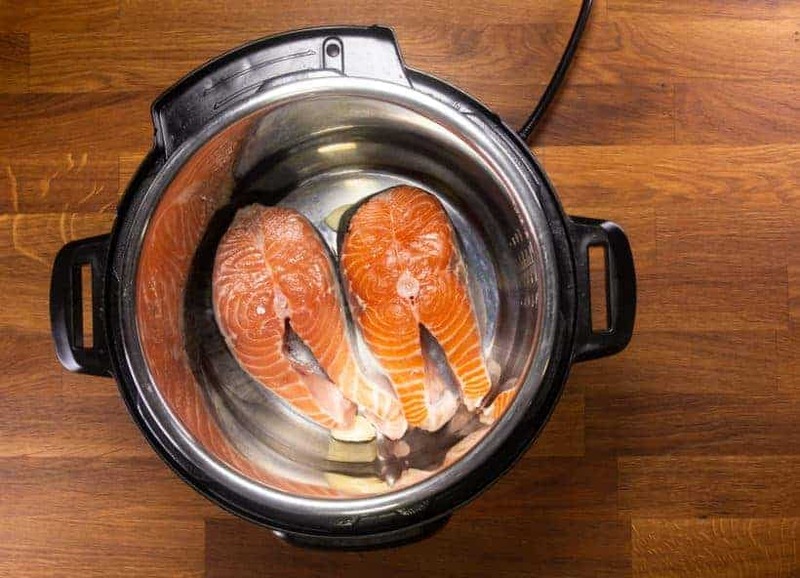 Can you cook more than two salmon steaks in the instant pot? Thank you for your question. Yes, you can. The get up to pressure time will be longer so you will want to reduce the natural release time by 1 – 2 minutes. This was very good. I used a large king salmon fillet that was wild caught. When using wild salmon I would recommend reducing the time of the natural release to about 8 minutes since this fish is not fatty at all. I will definitely make this again. The sauce was wonderful. Thank you so much for your honest feedback & kind words on the recipe! Can you buy Japanese cooking sake at the Asian market? I have some beautiful wild caught salmon in my freezer. I love your description of the spawning salmon. I’m fortunate enough to have a spawning river right behind my house. It is breathtaking to watch their journey. Thank you so much for your kind words. Japanese cooking sake can be found in Asian Market. can you use salmon filet as opposed to the steaks? Thank you for your question. Salmon filets will work fine! I just read your recipe for the salmon and I am anxious to try it. 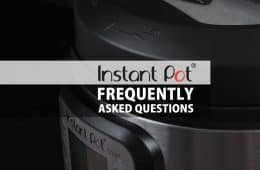 Do you add any water to the instant pot? 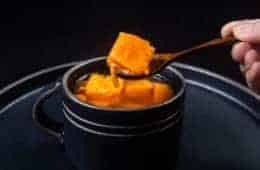 Can frozen salmon be used for this recipe? Thank you for your question. No water is needed as the sauce will be enough. Frozen salmons will probably take 1 – 2 minutes longer. Hi, any way to reduce the sugar content? My dad like salmon but he have diabetes so sugar + mirins would be a bad combination.